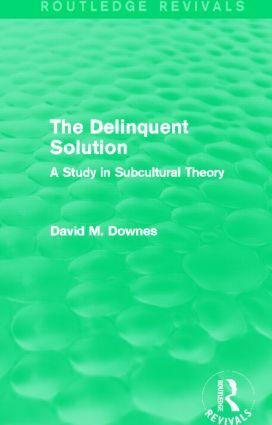 First published in 1966, The Delinquent Solution presents a study of crime associated with the nature of subcultures. The book discusses issues such as the concept and theory of subcultures, the life of delinquent gangs, and the English experience of delinquent subcultures. It also takes an in-depth look at the Stepney and Poplar survey on crime from 1960, analysing both statistical data and more informal observations. Although the book was written over forty years ago, the issues discussed remain relevant and strong areas of interest.